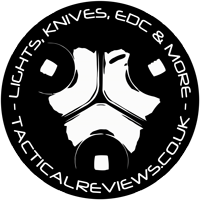 Discussion in 'Knife Reviews & Testing' started by Subwoofer_CPF, Feb 13, 2018. It's not something I've been able to properly define, but there are some knives that just look 'right' from the moment you first see them, and the Spyderco Bradley Bowie (designed by Gayle Bradley of course) is one of those. Many knives have specific purposes and their design reflects the requirements of those; the Bradley Bowie manages to make itself a truly general purpose knife, just as happy preparing camp food, dressing game, battoning wood, or on manoeuvres carried by service personnel. These measurements have been tabulated and are presented along with a few reference blades (8" Chef's Knife, 5.5" Santoku and the popular Fällkniven F1). 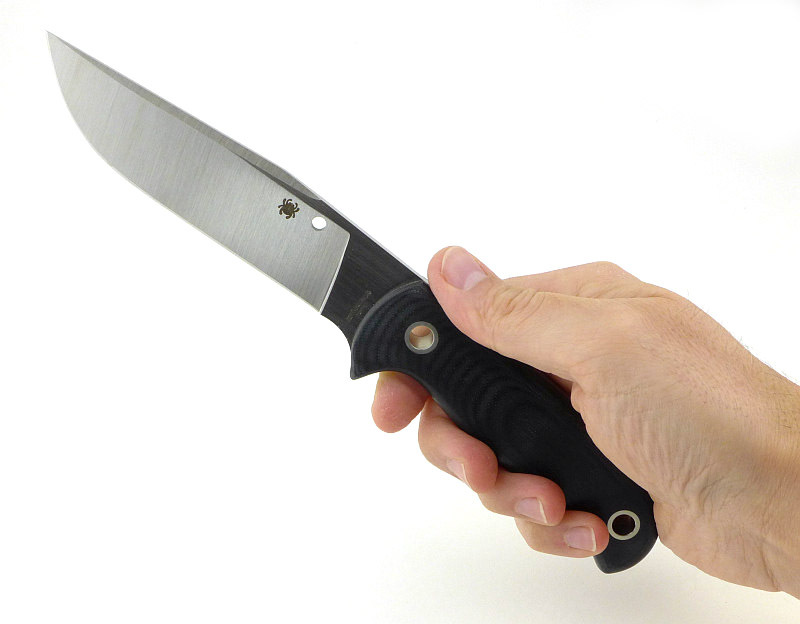 The 'Balance relative to the front of the handle' tells you if the knife will feel front heavy, or if the weight is in your hand (a positive value means the weight is forward of the front of the handle). 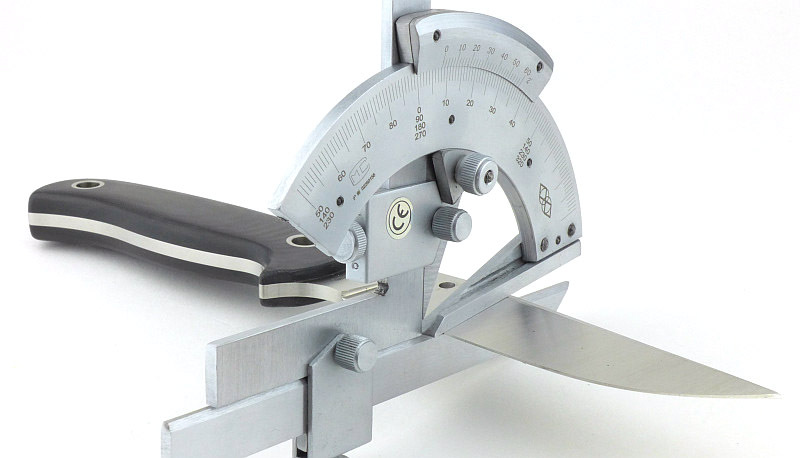 The 'Balance relative to the centre of the handle' indicates how close to a 'neutral balance' the knife has in the hand. 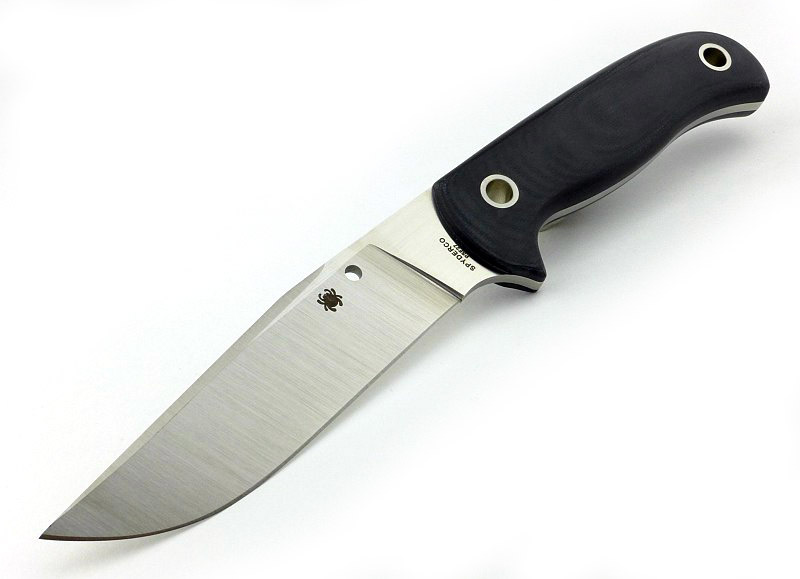 The blade is made from PSF27 steel. 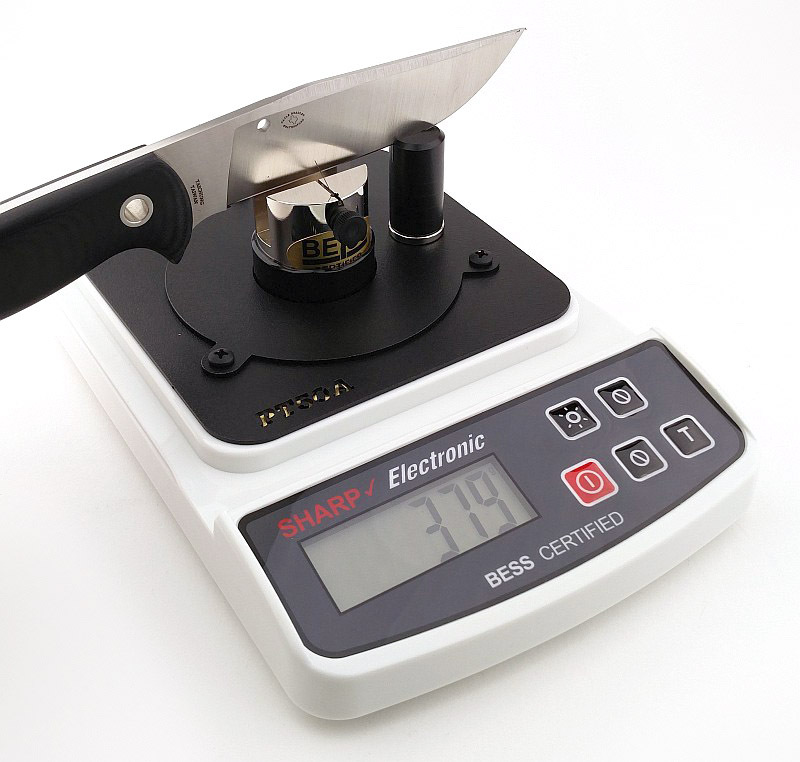 The BESS 'C' scale of sharpness, developed by Mike Brubacher (Brubacher Edge Sharpness Scale) will now become part of Tactical Reviews' knife testing process. 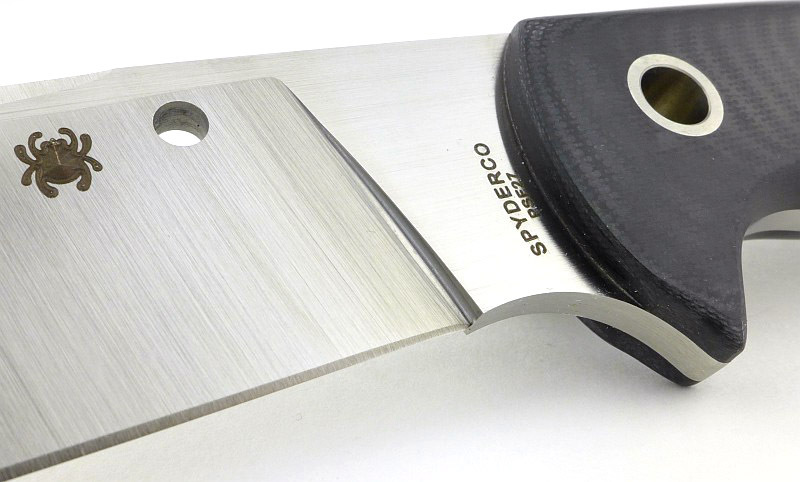 Initially this will be used to verify the sharpness of the factory edge and allow the knife to be brought to a minimum standard sharpness before testing a blade's cutting performance. 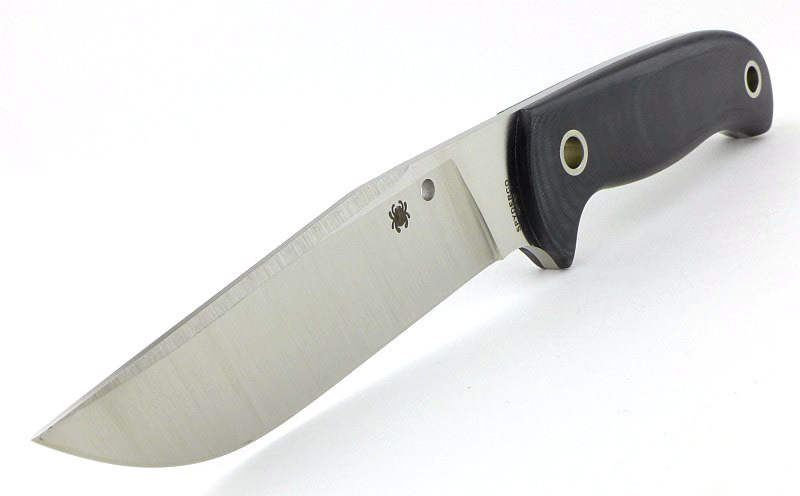 The Bradley Bowie's factory edge has an average BESS 'C' sharpness of 374. This original edge will slice thicker paper/card, but although it bites into the edge, it starts to tear thinner paper rather than cut. 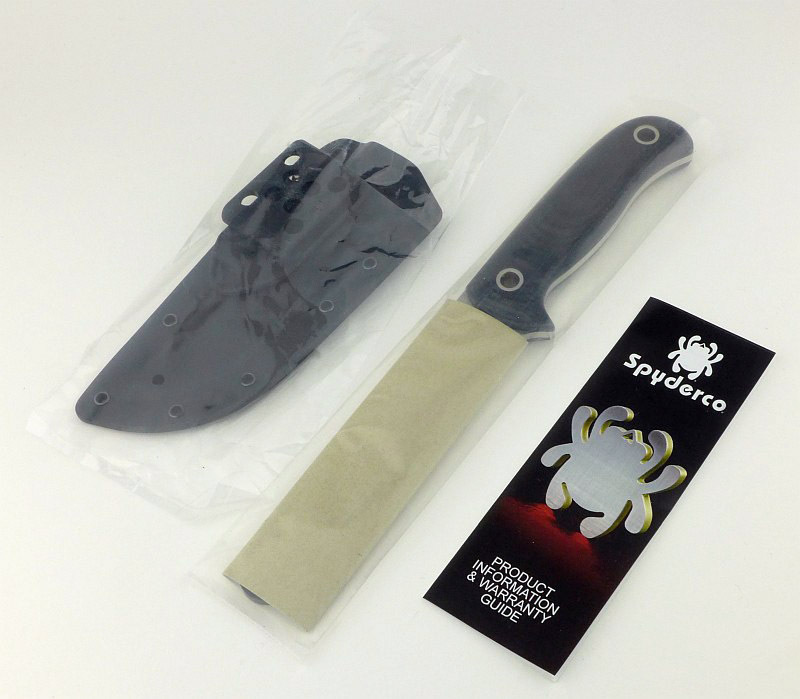 Standard Spyderco packaging is used for the Bradley Bowie. Both Knife and sheath arrive in plastic bags. The sheath has come out of the bag slightly, but the knife is still fully covered. 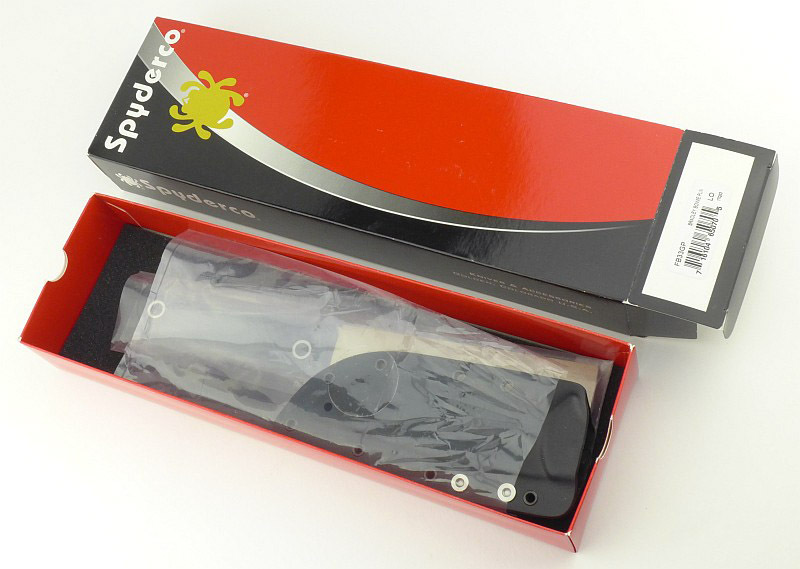 In the box are the knife, sheath and information leaflet. 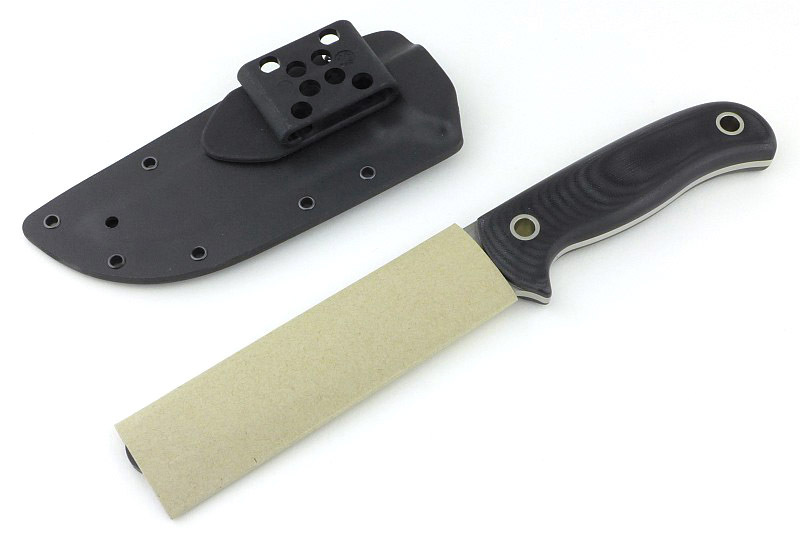 Mainly due to the choice of steel, there are a few layers of protection for the blade. With the plastic bag removed, the first layer is a cardboard sleeve. With the cardboard sleeve removed we find a wrapping of Vapour Corrosion Inhibitor paper, plus a plastic tip guard. And there it is, kept pristine by the wrappings. We are going to have a look round the sheath first. 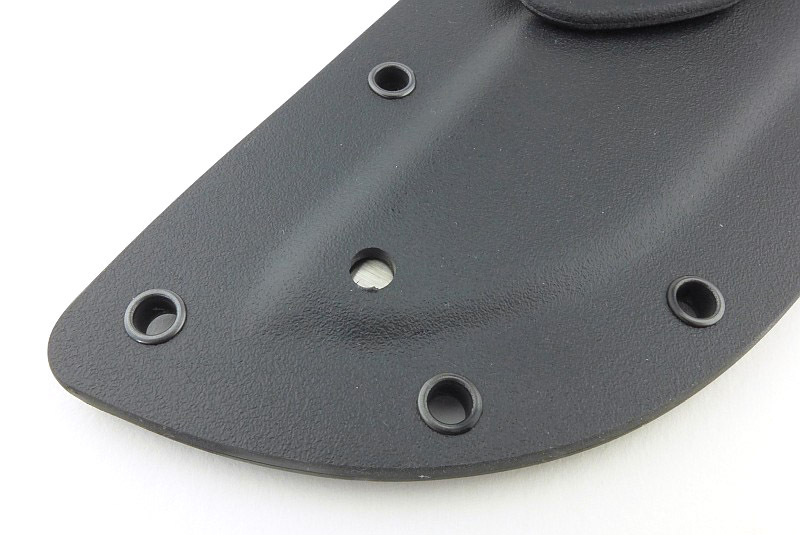 Not just any old Kydex sheath, in fact not Kydex at all, but its higher performance alternative - Boltaron. The back of the sheath...next onto some details. 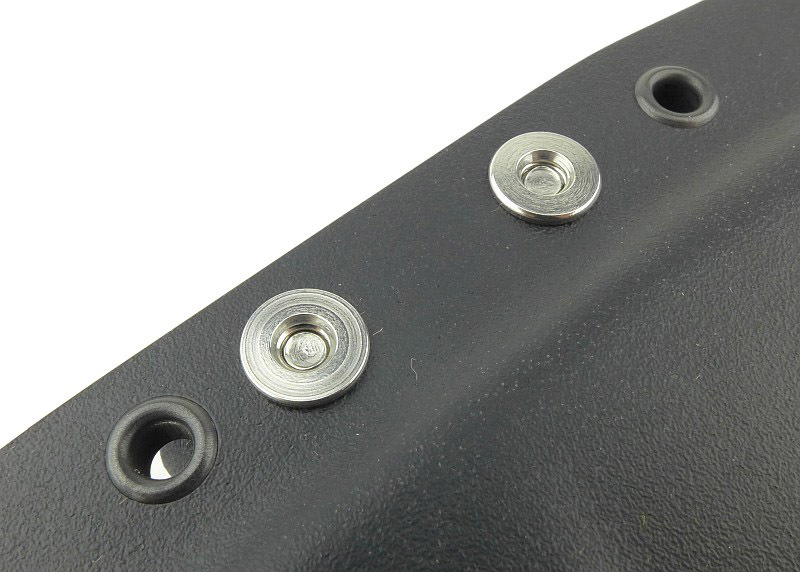 In contrast to the black Boltaron and rivets, the belt clip fixings are silver coloured. 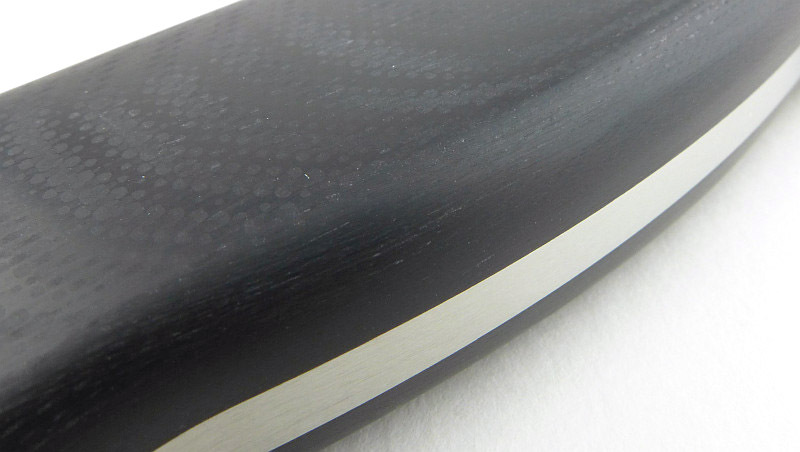 As expected with this type of sheath, the Boltaron is moulded around the end of the handle and has been cut and sanded to its final size and shape. 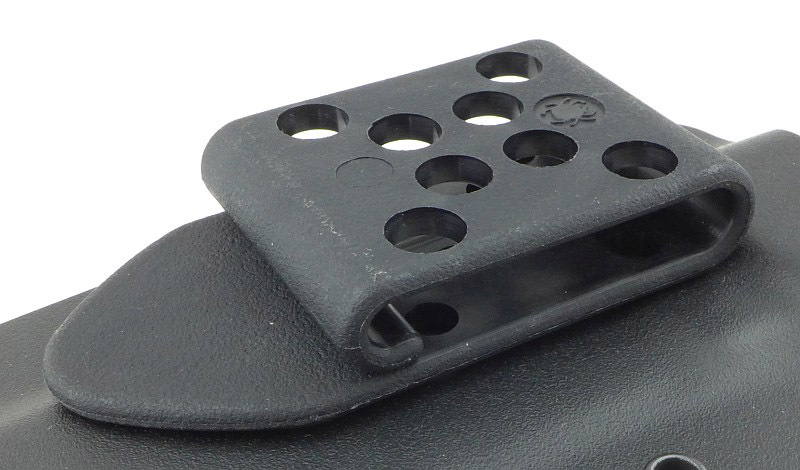 The belt clip itself is open at the bottom, but tightly sprung with a hook shaped end. Once positioned on a belt it will not easily come off again. Near the tip of the knife is a drainage hole. Ideally this could have been further down at the actual blade tip, as a small amount of water can still stay in the sheath if it becomes soaked. Now onto the knife. Just take in that full flat grind and long sloping swedge. 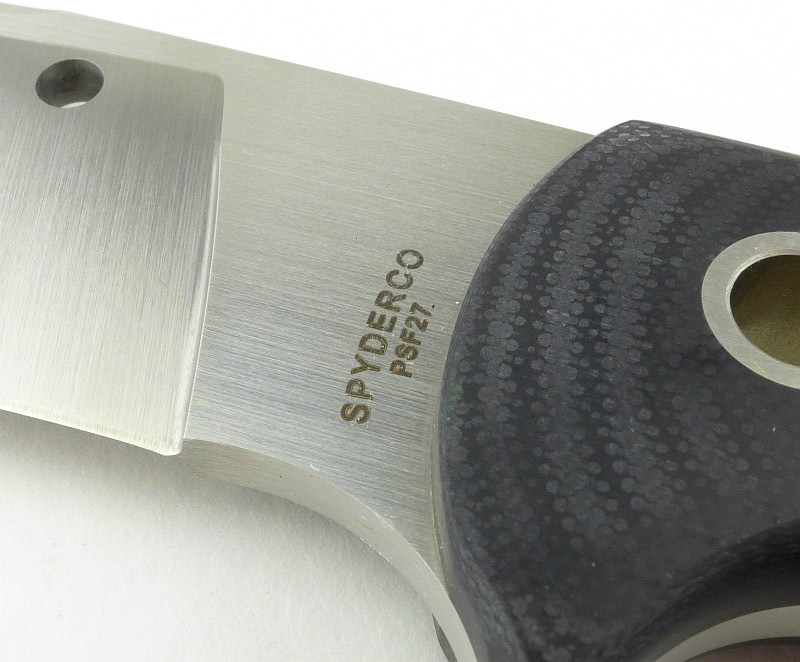 The PSF27 steel specification is engraved under Spyderco's name. 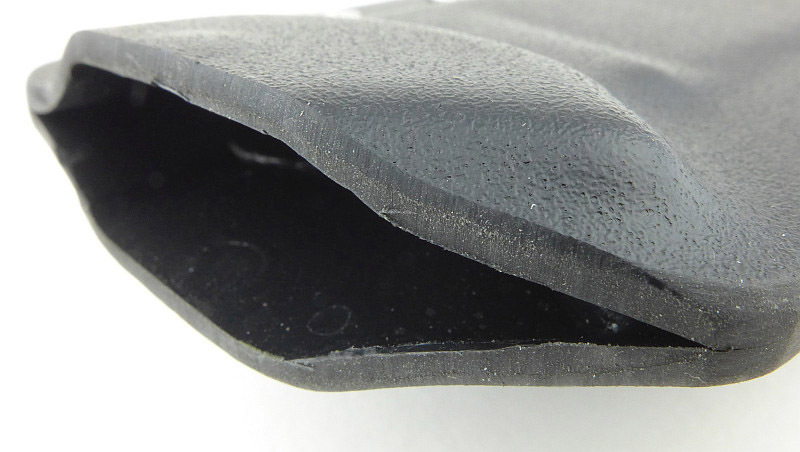 A finger guard is formed out of the full thickness tang and handle slabs. 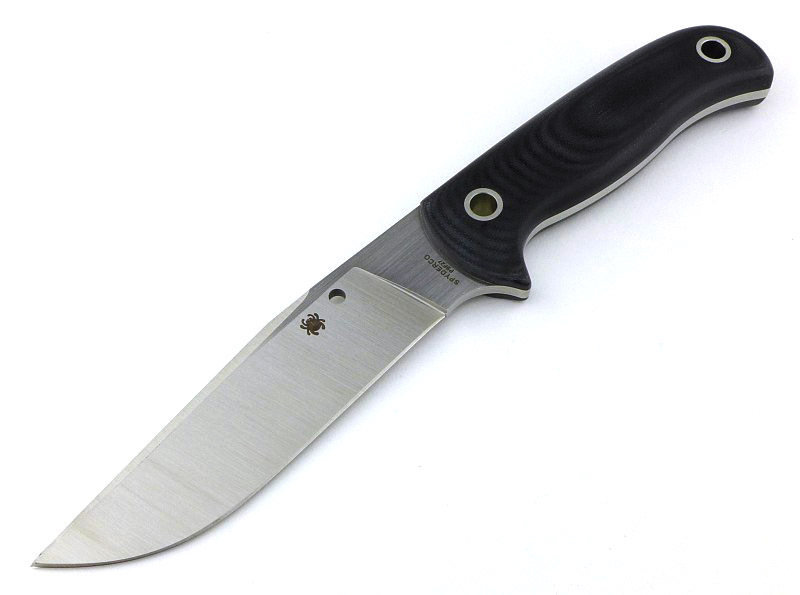 The full thickness tang is prominent in the slim handle. There are relatively sharp corners to the plunge line - potential stress concentrators. Gayle Bradley's logo appears on one side of the blade. 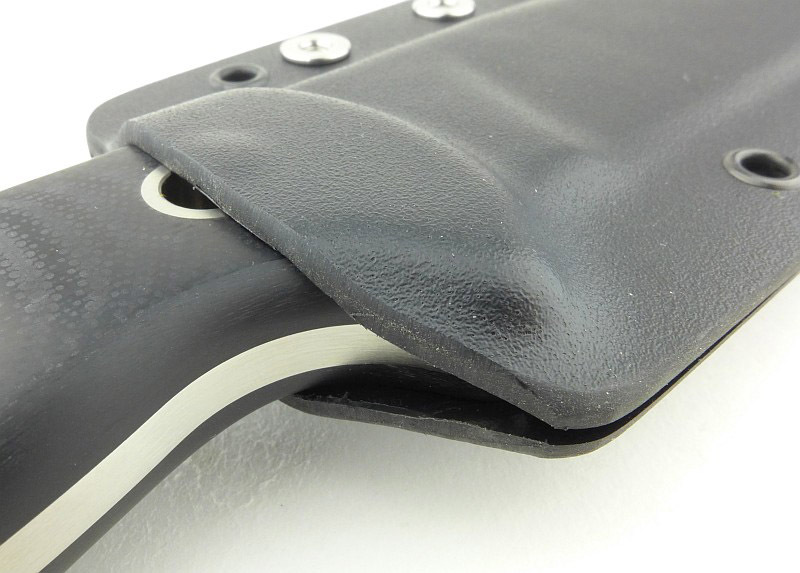 All the corners of the G-10 Handle are well rounded preventing any hot-spots. 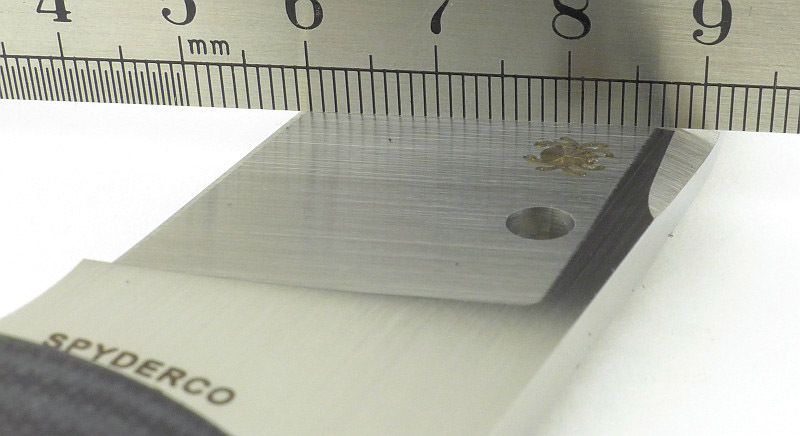 Only a small section of the handle edge next to the ricasso is not fully rounded. I've already mentioned that the design of this knife really speaks to me, and just looks right. This is absolutely confirmed by the feel in the hand; it really does work as well as it looks like it will. 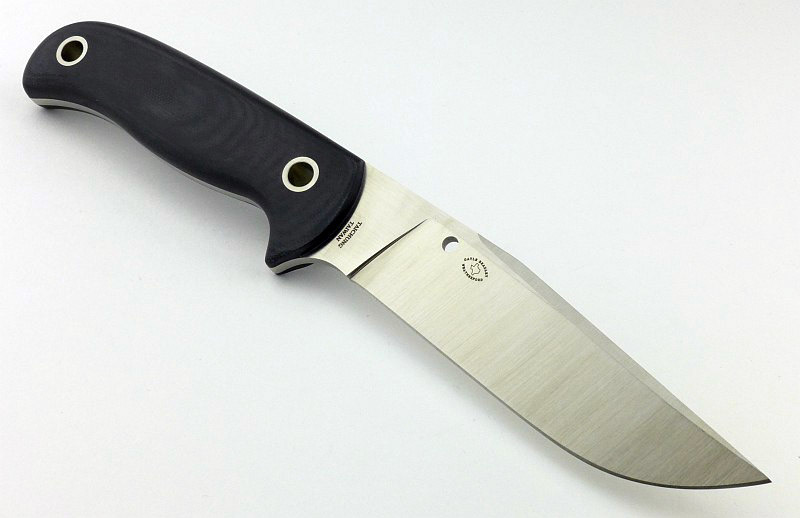 Excuse the potential connotations here, but that semi-polished G-10 handle is asking to be touched, stroked and held, much like a worry stone. Every part of it is smooth, the type of smooth that doesn't drag, catch or stick like a full gloss polish can. It has got to be one of the best feeling handles I've come across, and you don't want to put it down. Even wet or sweaty, there is plenty of grip despite its smoothness, in fact the least amount of grip I found is with a completely clean and dry hand. The rounded edges remove any hotspots; you are much more likely to get a blister due to wearing gloves (and their seams creating a hotspot) than anything to do with the handle. Personally I prefer a thicker handle for a bit more of a handful, but in this case I like the lower profile handle with less 'presence' on the belt (or as I often do, slipped in a large pocket). 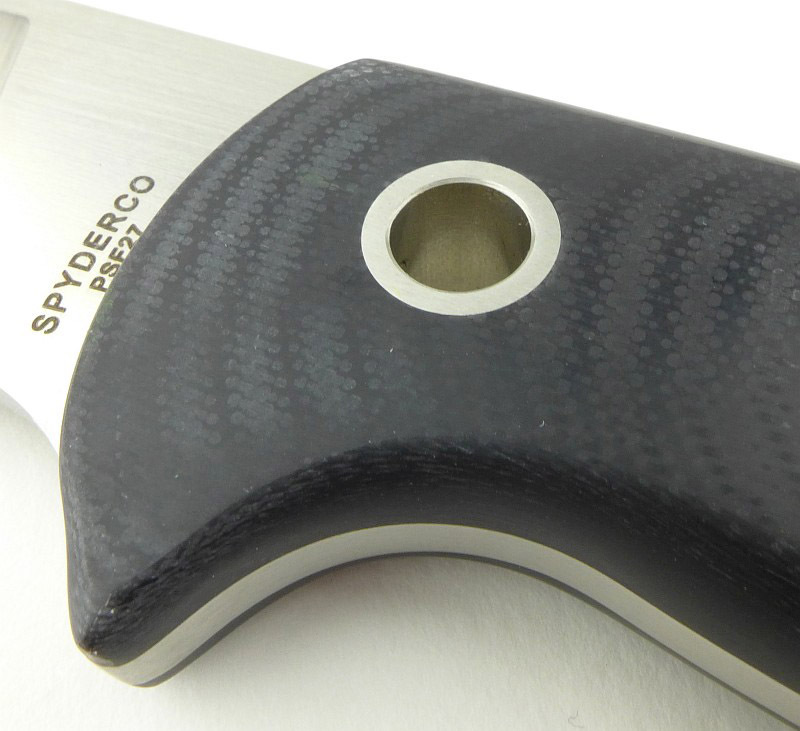 There is enough handle to allow you to really work the blade hard without adding bulk. As is often the case with the type of sheath used here, the retention is pretty stiff, and the knife doesn't easily come out. You need to lever the sheath away with your thumb, or end up with severe 'sheath recoil' and an uncontrolled slash of the blade as it flies out. In the sample received here, the edges of the Boltaron had sharp corners from the final shaping and these were catching on the knife, especially on re-sheathing the knife. Unfortunately, I've not had as much time using this knife as I would normally fit in before completing a review, so haven't gone through enough sharpening cycles, or seen how sensitive to corrosion the PSF27 really is. It has definitely been wet, cut damp materials and covered in corrosive finger prints and so far hasn't become marked. I'm hoping this steel proves more stain resistant that its composition might suggest. 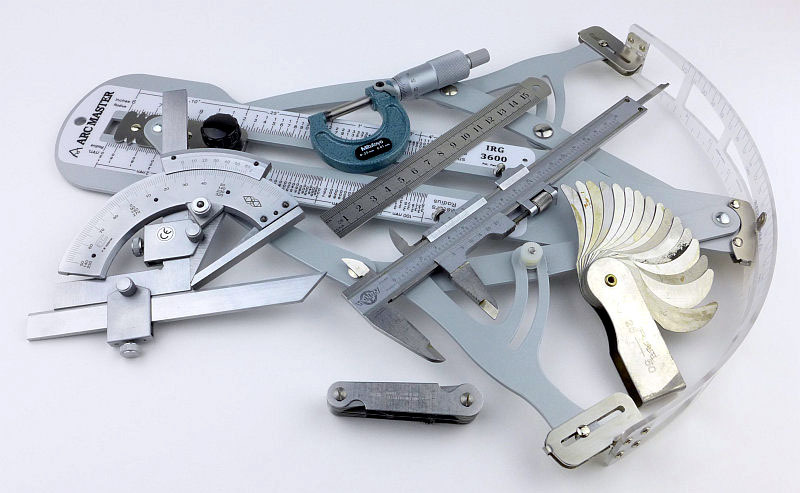 With the choice of ever better stainless steels, I don't want to worry about corrosion, and personally might have preferred a steel that is not on the wrong side of stainless levels of corrosion resistance. I'm also not subjecting a blade like this to demolition work, so the ultimate performance of PSF27 is not entirely relevant to me in this knife. That said, it is nice to know there is a great deal of strength in reserve, especially if you choose this as a survival knife or for military applications. 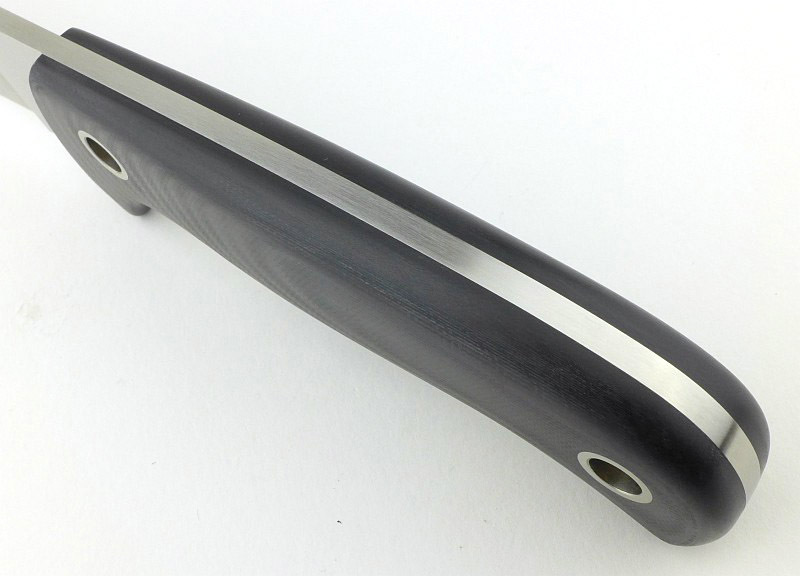 Superb handle with semi-polished G-10. 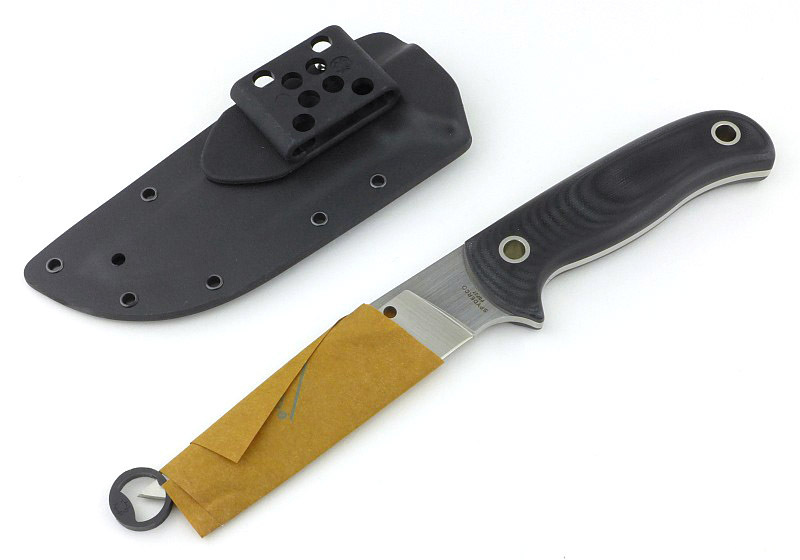 Sheath can be configured for right or left handed use. PSF27 steel is not quite 'stainless'. d762nato, Boggs and DocJD like this. Your reviews are always excellent, and the thought/detail you put in them is impressive. Just for info's sake, PSF27 is, composition wise, D2 tool steel. The difference being that PSF27 uses "spray forming" while D2 is an ingot steel. Spray forming is said to refine the carbide structure, but not quite to the extent of the latest powdered metallurgy. It is an improvement over ingot, however. The corrosion resistance is going to be identical to that of D2, that is to say, almost a stainless steel but not quite. 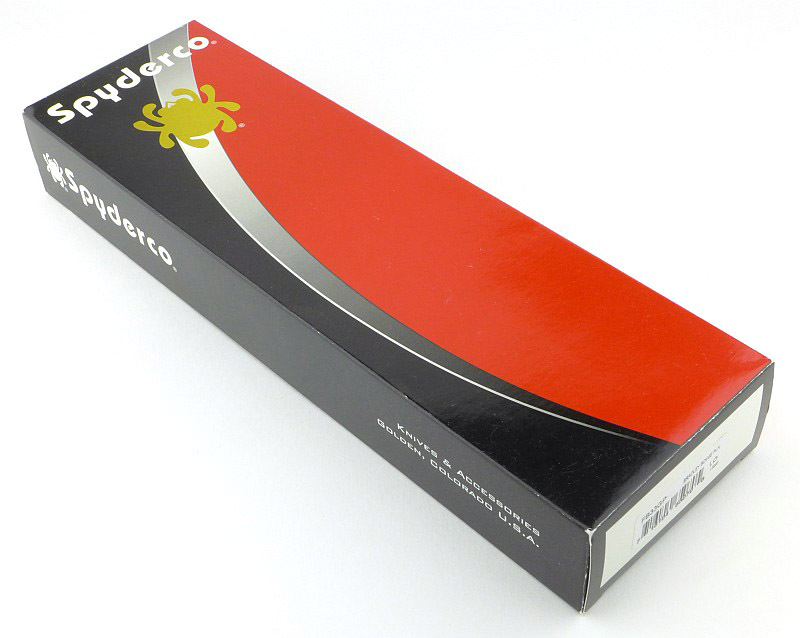 Also depending on how Sypderco is heat treating PSF27, it may have more free chromium, and thus adding to corrosion resistance. Specifically, using cryo to eliminate retained austenite, and lower tempering temperatures...rather than utilizing the secondary hardening to deal with retained austenite (and thus tying up chromium in carbides which would reduce corrosion resistance). 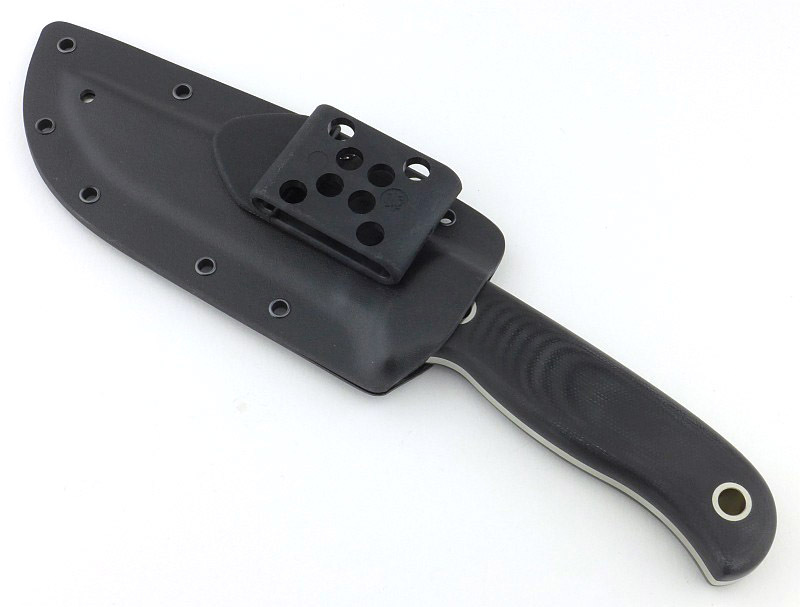 I've always lusted after this knife, but in Elmax. 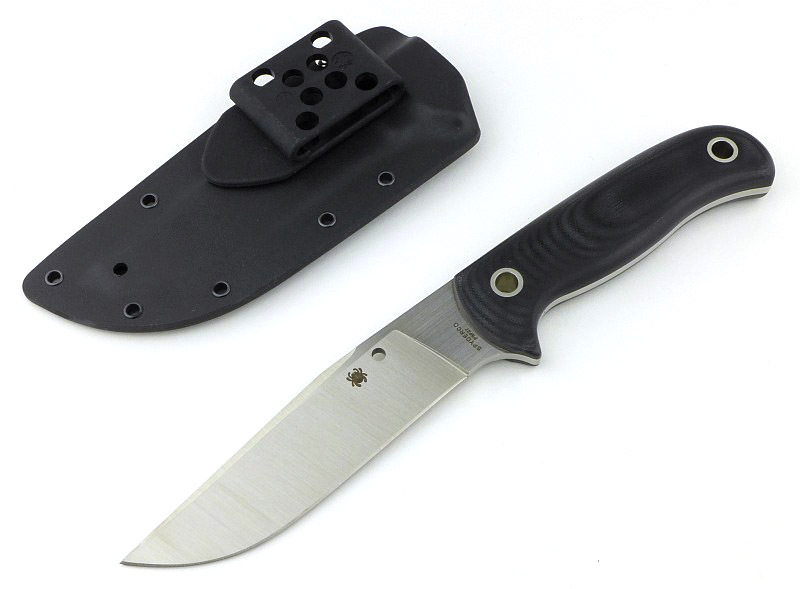 Sal will never make me one, though, because then I would have reached peak fixed blade and would never need to buy another. I have owned this knife for a few years now, and primarily use it in the kitchen. It gets washed off with water routinely and seldom dried. No corrosion or even any staining has occured. rpn, Cryptyc and d762nato like this. Why oh why does that perfect knife need a stupid choil.....wasted edge stupidity....many years of meat cutting and trapline and never needed or wanted a choil.....real working knives don't have them.....my biggest complaint about the perfect bk5 aND bk15! A knife choiled is a knife spoiled! LOL, we'll have to agree to disagree on that. I will agree that there are cutting tasks where a choil causes issues. This is the joy of the knife world where there are so many designs and so many 'ideal' knives for certain jobs, although 'ideal' in the eye of the beholder. Great review. 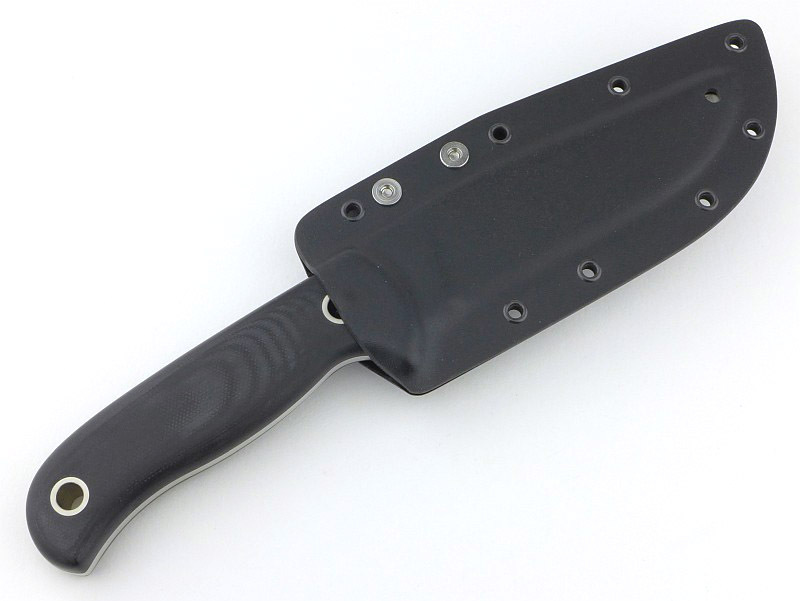 I have a Bradley Bowie on the way!